Having one of our experienced equine vets perform a pre-purchase examination of your proposed new horse, will help you make the right decision about the suitability of the horse or pony for the intended use. 1. Full clinical examination – palpation of limbs, auscultation of chest, examination of eyes, examination of feet, assessment of conformation. 2. Trot up – walk and trot in hand, backing up, turning within the length of itself. This may also include lunging at trot on a firm surface and flexion tests. 3. Strenuous exercise – replicating intended use, usually ridden but can be lunged. The heart, respiratory system, lameness and gait will be assessed. 4. Period of rest – recovery of heart rate assessed and examination at rest. 5. Trot up – any lameness made evident by the exercise will be looked for. We do also offer a limited pre-purchase (2-stage) examination, however we do not normally recommend these due to their limited scope with only stages 1 and 2 being performed. It is our standard vetting procedure to take a blood sample that will be stored for 6 months at a specialised laboratory. This can be tested for the presence of sedatives and anti-inflammatories in case of any alteration in temperament or lameness after the purchase. We like to examine the horse in its normal environment if there are sufficient facilities. We require a long flat area for trotting up (such as a lane or yard), a large menage with a good surface and a quiet stable capable of being darkened to allow a full eye examination. We also require someone to ride the horse at Stage 3, suitable tack, lunging equipment and the horse’s passport. 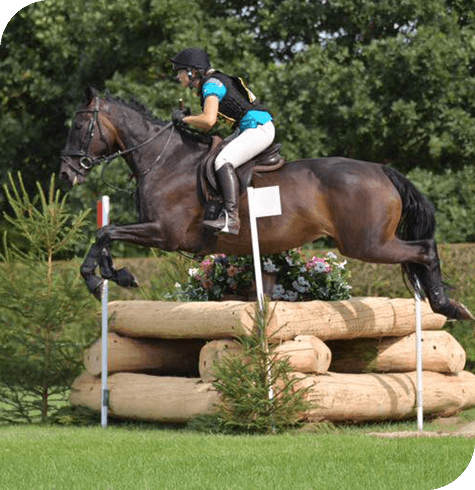 On completion of the examination we will discuss the findings with the purchaser and advise on the horse’s suitability for the intended use; you will then receive a vetting certificate if the vet advises the the horse is suitable for purchase. If required further tests such as x rays can be performed on the yard after completion of the vetting if required for insurance purposes.